Join us on February 26th, 2018, to hear from amazing and philanthropic women involved in sports, community food banks and alleviating the effects of poverty. We are thrilled to have Sarah Fonder-Kristy (Atlanta Community Food Bank), Theresa Wentzel (Atlanta Dream), and Kari Love (The Atlanta Women's Foundation) participating in a panel discussion on the role that women can - and must - play in non-profits and philanthropy. Each of these inspiring women have their own stories to tell about the diversity of charitable causes to explore. They will share their tips on how to become involved in philanthropy. Most importantly, they will explain why philanthropy is an indispensable tool for women to broaden their networks and their career opportunities. 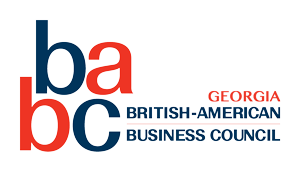 The Women's Series is a collaborative initiative of the French,Netherlands, German and Belgian American Chambers of Commerce as well as the British American Business Council.Started in January 2014, the Women's Series holds quarterly business events for professional women of the Atlanta international community. The goal of the Women's Series is to bring educational and stimulating content to our attendees, while facilitating professional opportunities and networking among peers.